Kurt Russell is the coolest Santa Claus you’ll ever see in The Christmas Chronicles trailer. Will this Netflix family film be any good? I don’t know. But at least Russell is clearly having fun playing the role of Jolly Old Saint Nick. In the film, a pair of kids have to help Santa save Christmas, as seems to be the standard set-up for these types of stories. Watch The Christmas Chronicles trailer below. 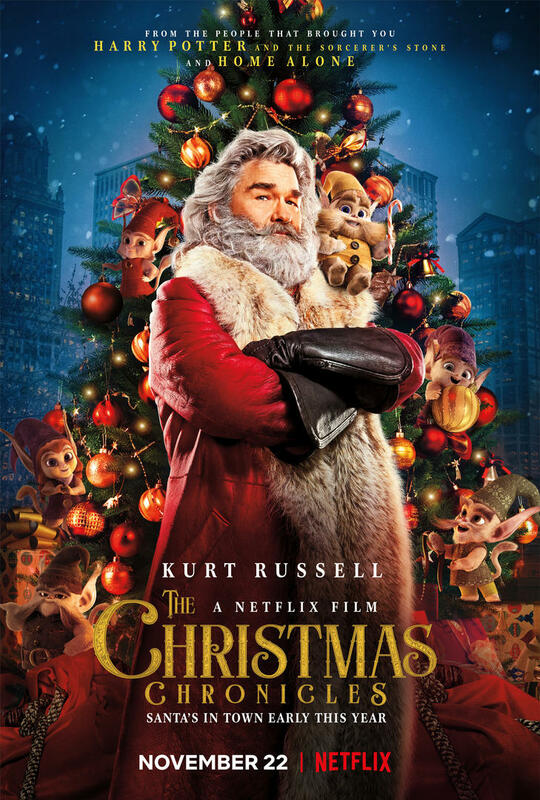 One thing makes The Christmas Chronicles worth seeing: Kurt Russell. Russell, sporting a glorious beard, is giving the role of Santa Claus his all. His gruff, hip Santa looks like he’s a few seconds from taking a swig of whiskey from a flask, and I’m here for it. This holiday adventures hails from producer Chris Columbus, the director of Home Alone and the first Harry Potter film, and the film certainly seems to be bringing Columbus’ blockbuster mentality to this flick. It looks more slick and more action-packed than your standard Netflix family fare. In summation: just watch this movie for Kurt Russell. The Christmas Chronicles arrives on Netflix on November 22, 2018. The post ‘The Christmas Chronicles’ Trailer: Kurt Russell is Cool Santa Claus appeared first on /Film.